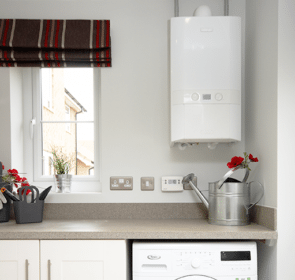 Combination boilers, commonly known as combi boilers, have quickly become the popular choice for heating households in the UK due its compact size and high efficiency. 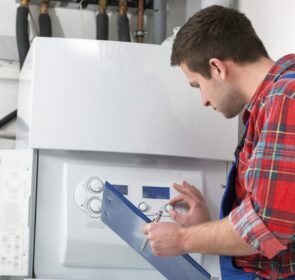 However, before you make this purchase decision, you should collect as much information about combi boilers as possible to make the right choice. 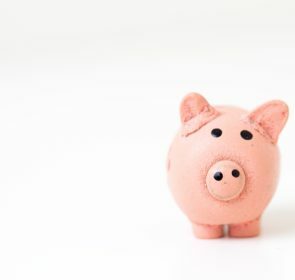 We have compiled this guide to give you the details about combi boiler prices, advantages, and what is involved with combi boilers. 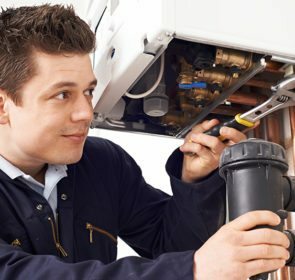 What are the expected costs of a combi boiler? When it comes to combi boilers, you are spoilt for choice. There are several brands available, and even more models to choose from. While you are probably looking for a boiler with the right specifications you desire, one important factor that should not be ignored is price. The following table displays the average prices of various combi boiler models from a wide range of brands. Your combi boiler is the most important piece of your central heating system so the choice you make is not one to be taken lightly. You will need to conduct thorough research and consider all options carefully. The most efficient way to do this is to contact central heating companies in your area, ask for their advice and gauge their prices, determining the best offer for your needs. Sending a non-binding quote request will allow you to find the right combi boiler with the best value for your money. If you are on the hunt for a new boiler, you have probably already run into combi boilers. This type of boiler has greatly risen in popularity in recent years, making up about 74% of new boilers in the market. The name combination boiler comes from the fact that this system is capable of providing heating as well as hot water. It heats cold water from your mains and sends it to your taps on demand. As such, cold and hot water storage tanks are no longer required. The same hot water is pumped to radiators around your house to heat the room. Without storage of water, combi boilers only provides heating when you need it. As of April 2005, regulations prescribe that all replacement or new boilers must be condensing boilers. This further increases the already high efficiency rate of combi boilers. Its compact size makes it ideal for small properties or houses with no loft space. Combi boilers can easily fit in your kitchen or small utility room, freeing up space such as a possible loft conversion. Combi boilers are highly efficient since you only heat the amount of water that you need. You will save time, effort, and money when installing a combi boiler. Since it is one compact unit, no water tanks are needed, as well as less pipework. If your property has poor water pressure from your mains, a combi boiler is not the best option. Conventional or system boilers are more suitable for low water pressure mains. While a combi boiler works well with most showers, it is not powerful enough for a power shower. You might experience a significant reduction in water flow if multiple water outlets are in use. Combi boilers are less suitable for larger houses with more than 1 bathroom. So you are thinking of buying a combi boiler and want to benefit from its efficiency and compact size? Then your next step is to contact heating engineers operating in your area. Also, compare their supply and installation prices to identify the company that matches your budget—you will receive up to 5 quotes from local, trusted professionals.